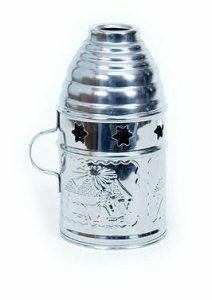 The Khalil Mamoon “Stainless” single-hosed hookah pipe is a beauty that has engraved art on it. 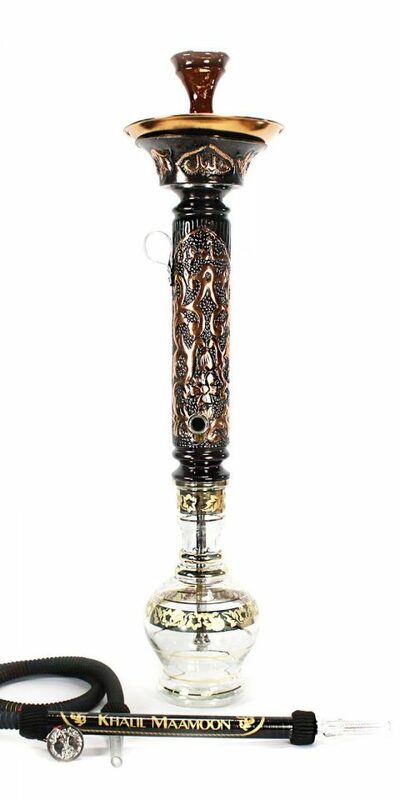 The shaft of this ultra-sturdy 33 inch hookah pipe is adorned with KM and produces the ultimate ease and draw you’d find on all genuine Khalil Mamoon hookahs. 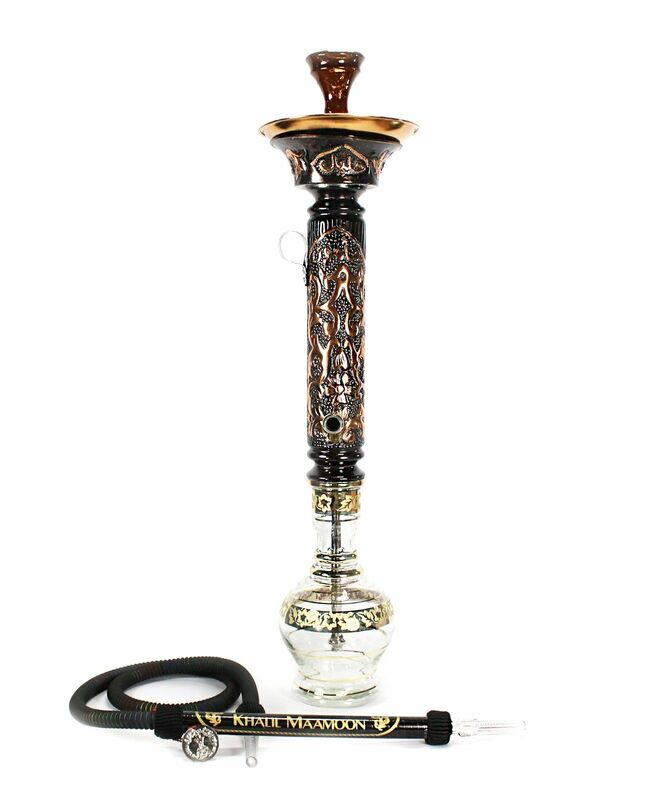 You will experience nothing but satisfaction from this authentic Khalil Mamoon Hookah. 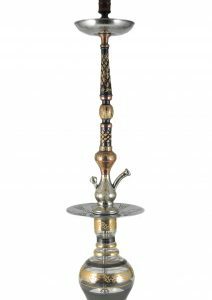 The Khalil Mamoon Kahramana Hookah was forged from the flames of Egyptian fire with cold steel. 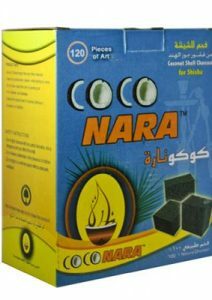 This KM Dana Bazooka is the perfect hookah for puffing on thick clouds of cool smoke as well as fighting White Walkers north of Castle Black. It is not only known for its ferocious smoking capabilities, it displays an ornamental grandeur that demands the fanfare of all the great generals of history returning home from glorious triumphs in battle. 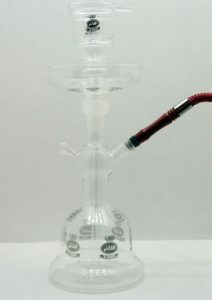 The quality of Khalil Maamoon hookahs ensures the hookahs are built to last for years.